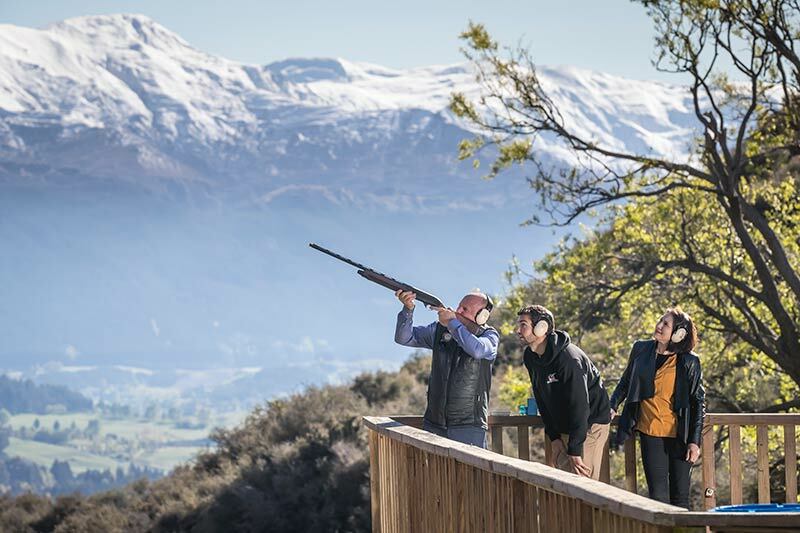 Come and share our passion for Clay Target Shooting amidst the stunning landscape on the private Queenstown Hill Station. 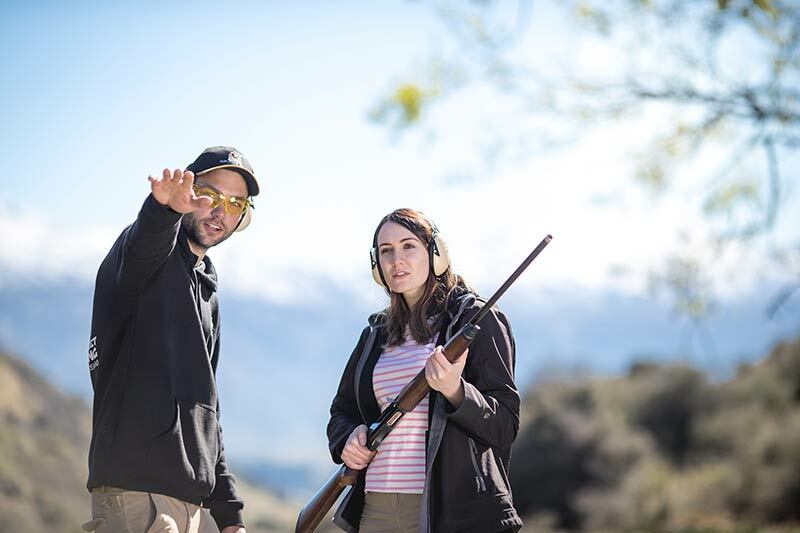 Our professional instructors will guide you in the unique sport of Clay Target Shooting, guaranteeing an exciting adventure like no other in Queenstown! Offering you courtesy transport, full instruction and coaching on a variety of targets. 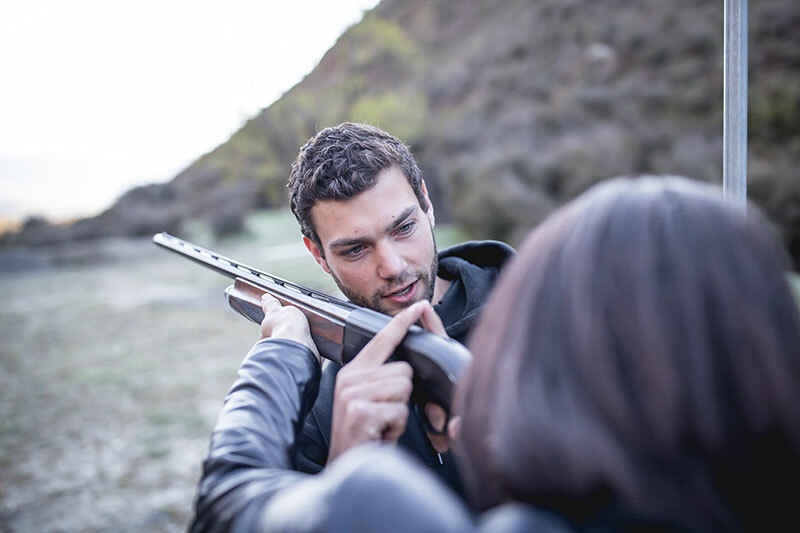 Whether having never shot, or a seasoned professional, your experience will leave you enthralled with Clay Target Shooting. No experience is required to have fun at our shooting range! Great for the first time shooter! This is a fantastic activity for family and friends with full instruction and coaching, shoot 6 scored stations with plenty of practice finishing off with our Beretta Challenge of 4 targets one after the other. Come along and learn a new skill. Our most popular package shooting 8 scored stations. The Challenge builds on the skills you learn shooting our Experience followed by a stepping up to shoot our true doubles Olympic style. This option offers the most bang for your buck and yet suitable for first time shooters. Ready to make some noise? This is our premier shooting excursion unlike anything else in Queenstown, shooting 10 scored stations. This includes all the coaching and excitement of our popular Experience and Challenge options. Then we will up the tempo with Olympic style true doubles to test any shooter. Great tuition from Tom, exceeded our expectations and great location up in the hills. There was something for all levels and we’ll definitely be back again! Was a great activity! Blake was a wonderful tour guide/shooting instructor. I even managed to hit the targets – 15 out of 24 shots! Not to bad for a first timer! I went along just to support my husband, but ended up loving the day as much as he did! Blake was an amazing instructor, and the specially designed gun was perfect for a first timer. I highly recommend giving this a go! Loved it! The whole experience is amazing, from start to finish. Blake has the knack of making you feel comfortable at all times. We will be back for round 3 next year! Blake was helpful, safety conscious and we had a few good laughs. Something to tick off the bucket list! Having never used a gun before, Blake offered expert guidance and assisted my wife and I in a fantastic new experience! We had a blast and look forward to coming back again and again! Blake is super friendly and a professional in his field. With him, it is a guaranteed success! The whole experience was top notch! A must try experience! For first time shooters – this experience was fantastic! Highlight of our trip! Great adrenalin rush shooting a shot gun for the very first time!